What can I say. I completely disappeared and didn’t want to face the world for that last month of school. But it’s over now and the 2011 Summer of Fun has officially begun! I’ve made so many things that I still need to post about, and those will be coming along bit by bit. 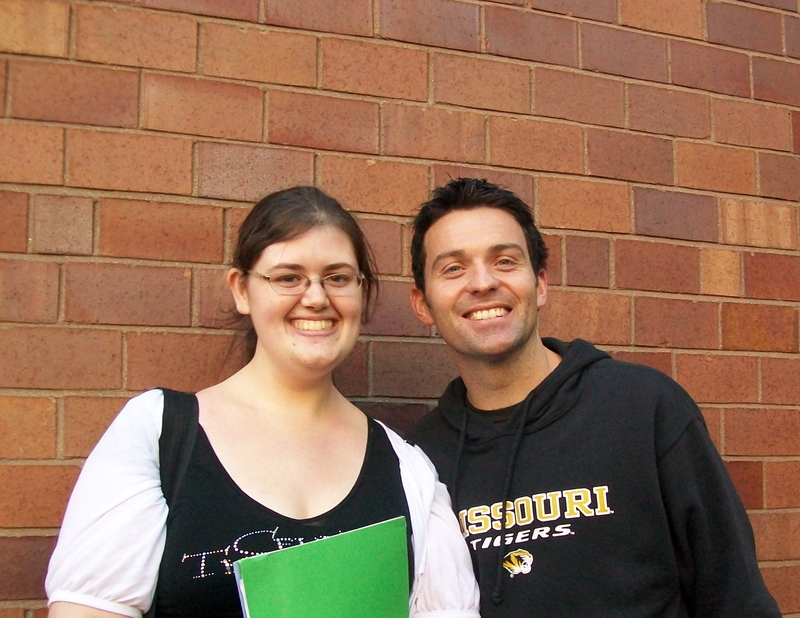 But first, I would like to wish all the health and happiness in the world to Ryan Kelly, my beloved Dark Destroyer, who officially left Celtic Thunder on May 12, 2011. I am so happy I was able to meet you in Boston in 2009 and to say hello to you a couple of other times over the past couple of years. Good luck in whatever you choose to pursue next, you have my full love and support. I think I should move on to happier news now, don’t you think? 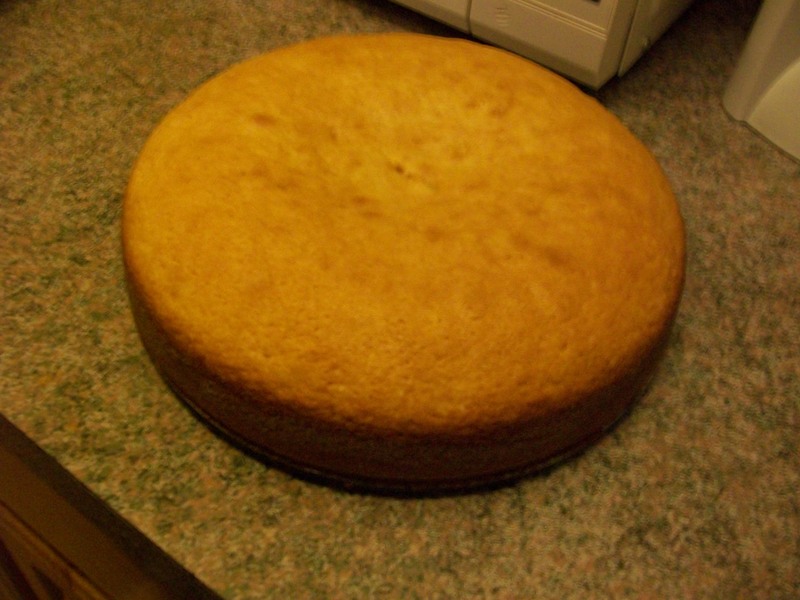 I’d like to come back to the blogging world with this fantastic cake recipe. I’m a sucker for doughnut muffins and anything doughnut, so this certainly hit the mark: The Donut Cake! It turned out absolutely wonderfully. 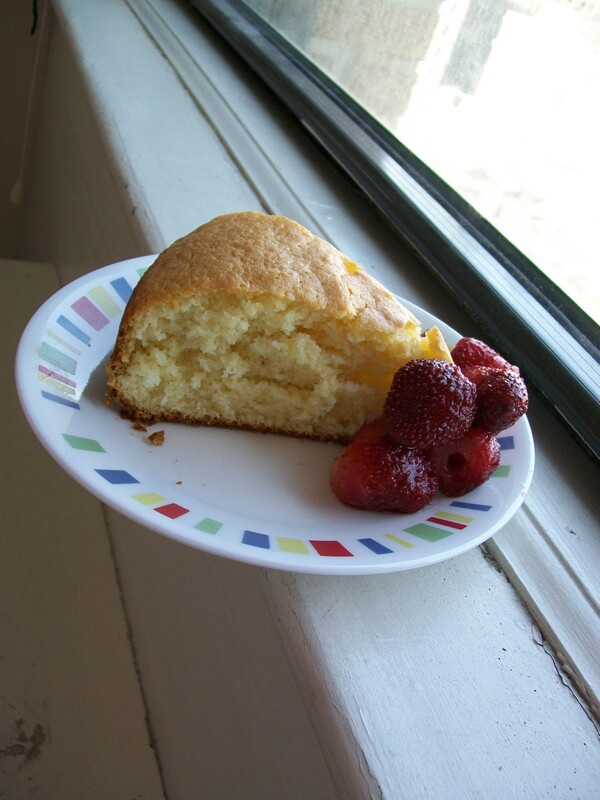 I think the secrets to this cake were the hints of nutmeg and cornmeal in the batter. 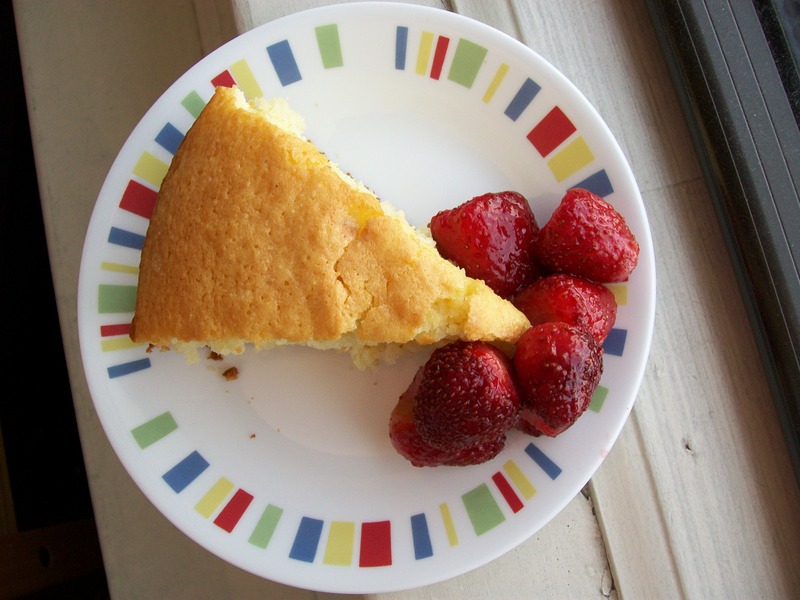 The strawberries were a nice complement to the cake as well, so I’m glad I had them on hand, even if they were originally frozen. I couldn’t get enough of this fake doughnut-y goodness. I can’t wait to make it again and again and again. 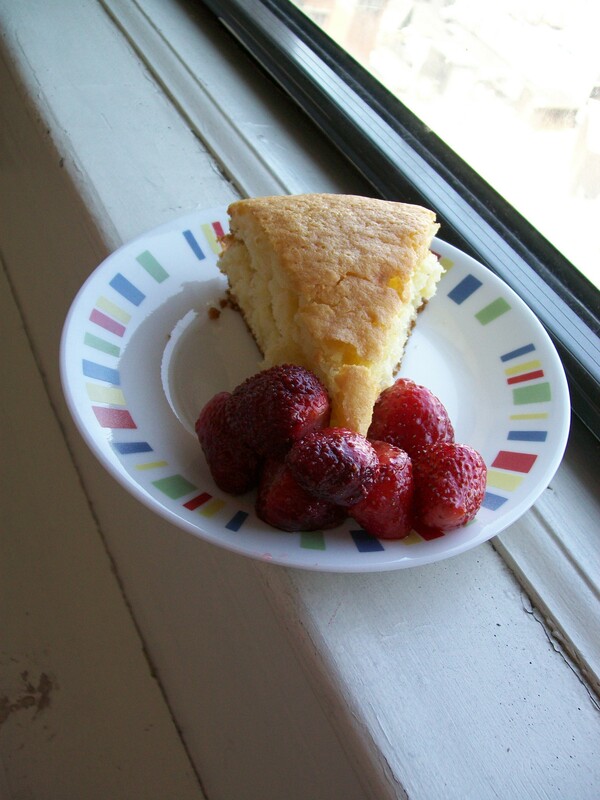 You can have cake for breakfast, right? It has the word doughnut in its title, so that must count for something. And if I eat it with strawberries or some kind of fruit on the side? Totally a breakfast food. I’m going to tell myself whatever I need to in order to convince myself that this can be eaten for breakfast without guilt. OH! I think I just came up with the winning justification: it doesn’t have chocolate, so it’s nice and light and breakfast-worthy! There we go. Donut cake for breakfast for everyone! Enjoy!